The first annual AMBOSS USMLE® Step 1 Self-Assessment Week just ended! Over 9,500 students from the United States (and the world) participated and have already received their approximate 3-digit score report and personalized learning recommendations. Students from over 190 U.S. medical schools answered over one million questions. The Self-Assessment Week took place March 30-April 7, 2019. It consisted of a practice version of the USMLE Step 1 exam with 4 question blocks of 40 questions each (160 questions total) and was presented in the USMLE’s official timed format. It was the first self-assessment of its kind, using performance statistics from this year’s cohort of Step 1 takers. Students received an approximate 3-digit predictive score on Tuesday, April 9th. The score range was 1-300, with a mean of 229 and a standard deviation of 20. Out of all participants, the highest score was 277 and the lowest was 155. Most students scored between 216-230 on the assessment. 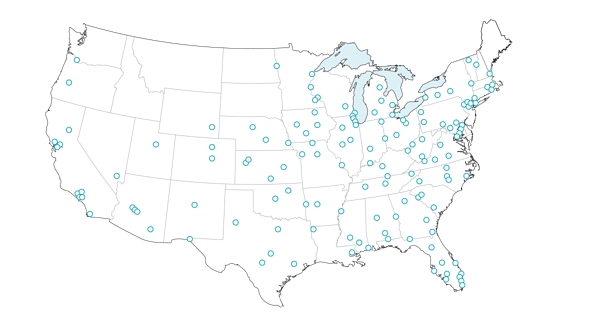 This score range includes Step 1 students from medical schools across the United States, which includes both MD and DO schools. 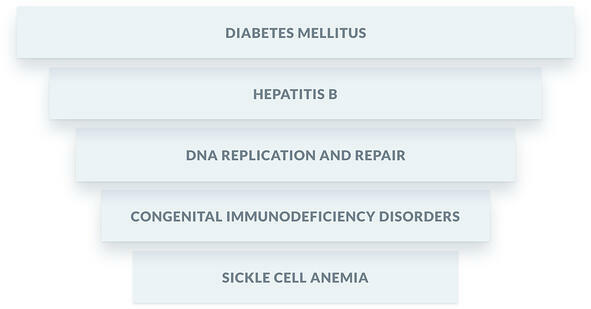 For students who took the self-assessment, the most challenging topics included Diabetes Mellitus and Hepatitis B, while some of the most challenging disciplines including Pathology and Biochemistry & Nutrition. 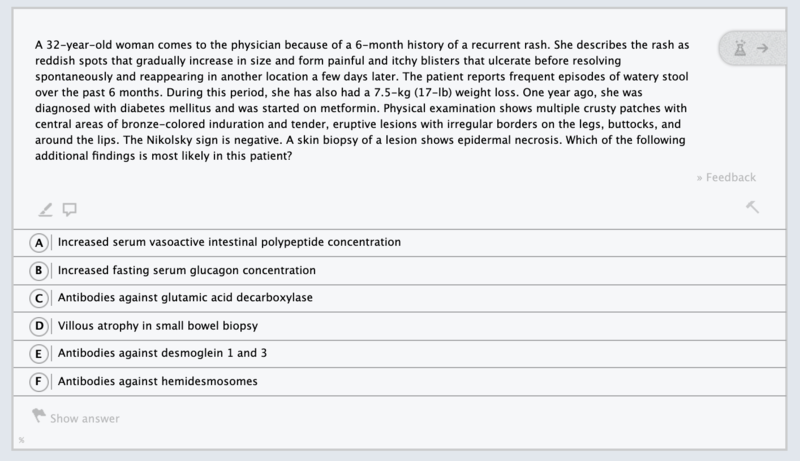 The most challenging question for medical students tested pathologic findings seen in glucagonoma, and only 21% of medical students got it correct. The easiest question covered professional communication when delivering serious news, which over 93% of US students got correct. Self-assessment participants can review any questions from the practice exam to help them better understand the topics covered. Powerful features in AMBOSS and a high-yield Knowledge Library help students learn how to get questions right in the future. By using Guidance Mode, answer explanations, the Qbank and Knowledge Library side-by-side and other features, students can close knowledge gaps to help them score higher on the real Step 1 exam. In the video below, you can see the review process broken down into easy-to-follow steps. As with any other self-assessment, AMBOSS’ can only provide an estimate of how students will perform on the actual USMLE® Step 1 exam. 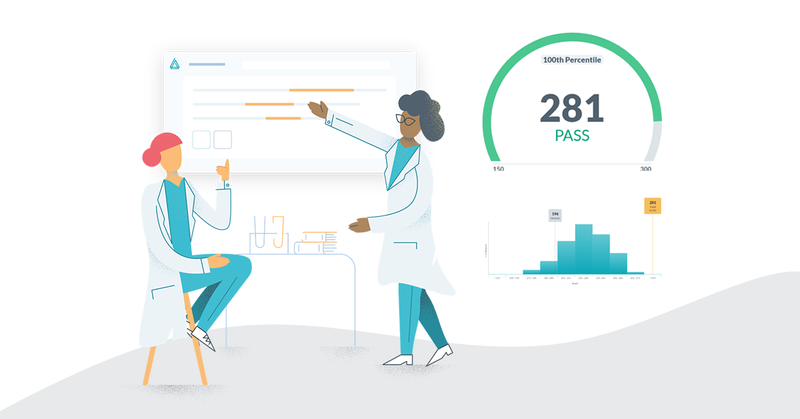 While accurately predicting the exact score of every participant is impossible, we hope that our score can provide a good approximation of your future USMLE® Step 1 score. The predicted score was only one part of our analysis, however. We are confident your listed relative strengths and weaknesses will be a beneficial guide as you continue with your studies. In addition to that, our questions are slightly more challenging than questions you may find in other self-assessments, and we have made adjustments to scores based on their difficulty. 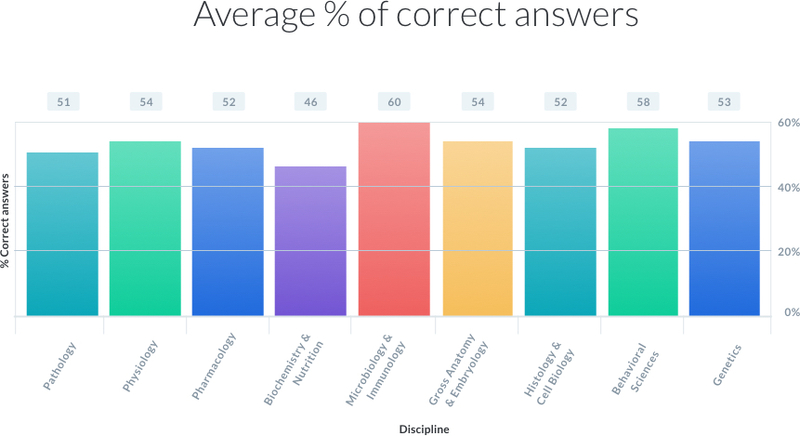 We did this when creating the self-assessment because we anticipated that users would have more opportunities to learn from these when reviewing their answers. 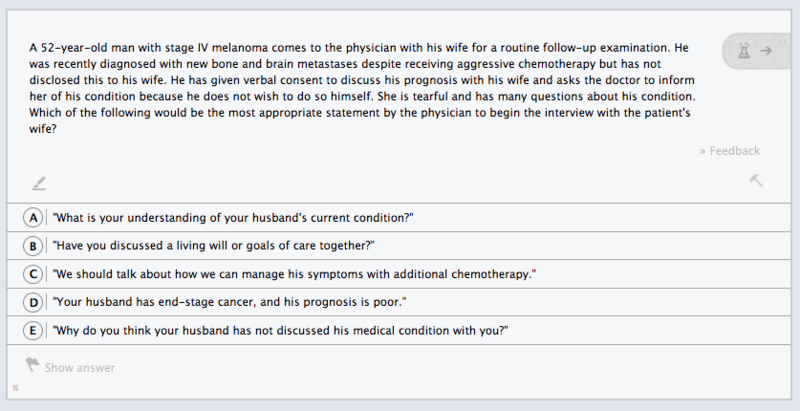 Interested in taking self-assessments for USMLE or NBME Shelf exams? Let us know! We’ll email you with announcements as soon as our other self-assessments become available.